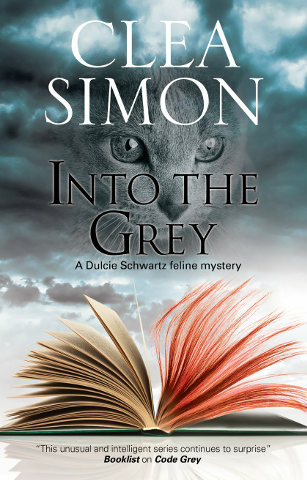 Dulcie she finds the body of a fellow graduate student on her adviser's front step. 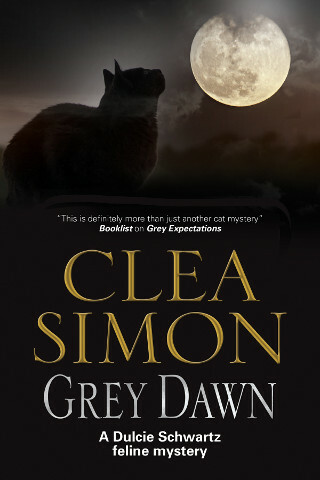 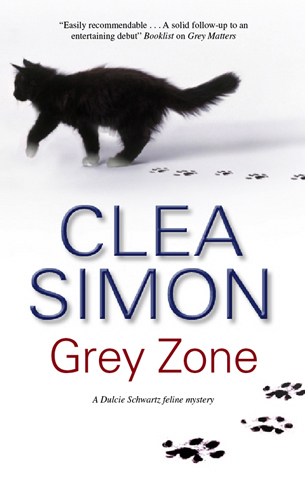 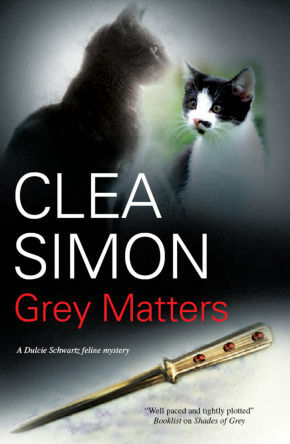 The ghost of Mr. Grey, her deceased cat, returns to offer his usual cryptic advice, and her new kitten takes a noncommittal stance toward crime-solving, leaving Dulcie on her own to try and find the real murderer before the killer finds her. 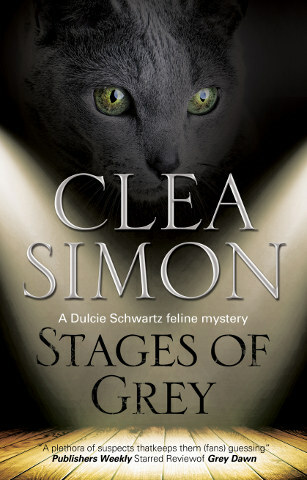 Caught between a distracted supervisor and university politics, Dulcie’s doctoral thesis looks doomed. 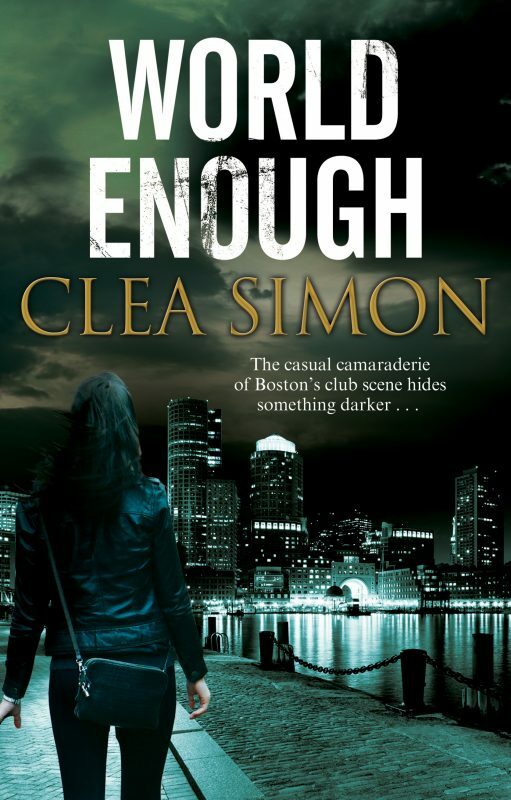 When she stumbles across the bloodied body of a fellow student, things couldn’t get any worse. 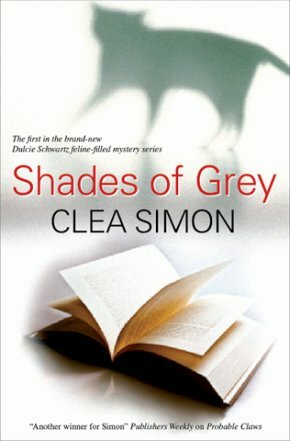 Unless her mother’s dreams turn out to be premonitions and Dulcie’s work has all been in vain . 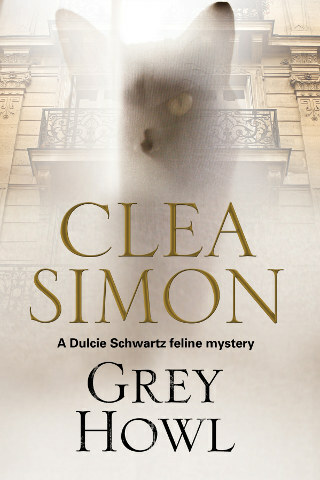 . .
With the ghost of Mr Grey – her wise and loyal late, great cat – strangely silent, and her new kitten refusing to speak, this time Dulcie might just be on her own. 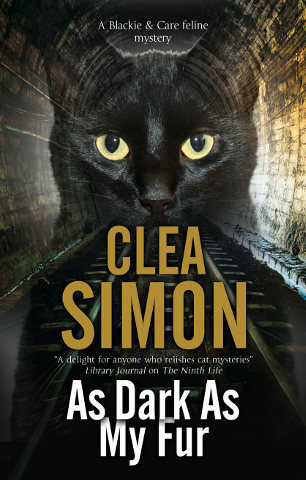 A solid follow-up to an entertaining debut. 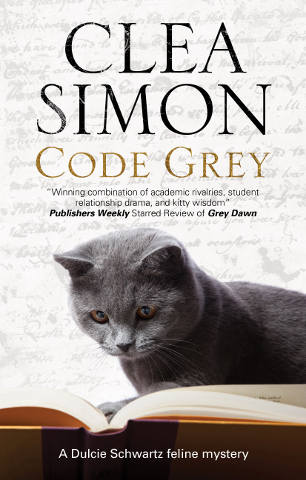 With skill and style, Simon fashions a true whodunit, a look inside the cutthroat academic world and an homage to the pets we've lost but who remain forever in our hearts. 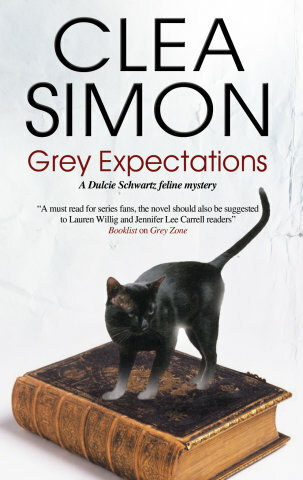 It's a tricky trifecta, but Simon makes the leap with catlike grace. 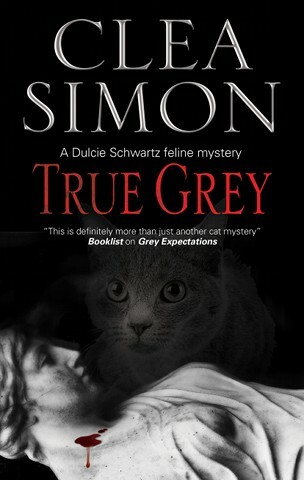 Other Book in "Dulcie Schwartz"